Dr. Joseph Prendergast is an accomplished scientist and researcher who has been a practicing physician for over 35 years. 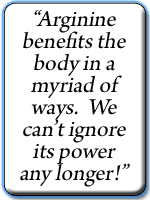 During that time Dr. Joe has empowered countless patients in the art of self-care. 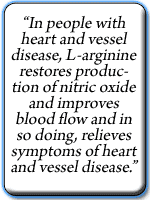 By following Dr. Joe’s prescribed arginine therapy he has treated 5000 patients since 1993 without a single heart attack or stroke. Dr. Joe is board-certified in internal medicine as well as endocrinology and metabolism. A graduate of Wayne State University in Detroit, Michigan, he completed a fellowship in endocrinology and metabolism at Henry Ford Hospital in Detroit and his research fellowship at the University of California, San Francisco. Dr. Joe is the author of over 40 medical articles in well-known publications such as the Journal of the American Medical Association, The New England Journal of Medicine, and Diabetes Care. Dr. Joe’s first book, The Uncommon Doctor: Dr. Joe’s Rx for Managing Your Health , that reveals the secrets of preventive medicine and helps readers design a strategic wellness program, Dr. Joe hosts his own live Internet health program each week. Buy ProArgi-9 Plus at a reduced price! I would like to know if this product would help my 16 yr. old daughter who suffers from a brain condition called chiari 1 malformation, brain tonsils are descending into the spinal canal & a condition called posterial orthostatic tachycardia syndrome- it is an autonomic nervous system disorder that cause her blood volume to be low and when she stands up she is dizzy, loss of appetite, fatigue, etc…. Thanks for your question. Unfortunately, I am not aware of any specific element of ProArgi-9+ that would directly effect the issues you have described. I am glad to hear you have had some positive results in the short time you have been taking ProArgi-9+. You have a serious condition that should include a close relationship with your doctor. You appear to have that as your are getting test results. I can tell you that there is no reported benefits in the study. However many related benefits were noted as you have seen. ProArgi-9+ has not been reviewed by the FDA so there is no official claim that it prevents or treats any condition. However, the positive results of the study are for you to interpret for yourself. I have seen it help people with your condition. It may not address all of your concerns but should help with many others. I would suggest that you try the dose used in the study that produced the results noted (click here for more). That is 4 scoops (5g) daily. You may see additional increase in the benefits you have already seen. Again, please work closely with your doctor and keep us posted on your results. We look forward to hearing good news.